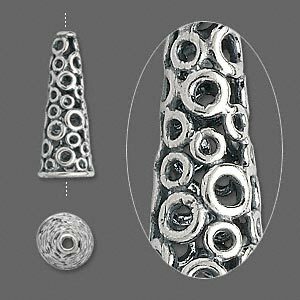 Cone, JBB Findings, antiqued sterling silver, 24x9mm with circles, 7mm inside diameter. Sold individually. Item Number: H20-7693MB Have a question about this item? Cones bring multiple strands together neatly. 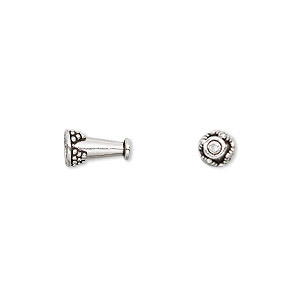 Also used as bead caps or the end-piece of handmade fringe. 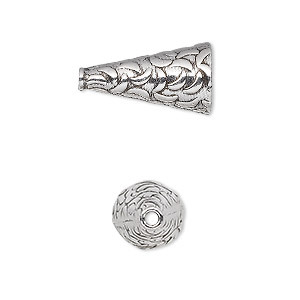 Cone, JBB Findings, antiqued sterling silver, 24x9mm with cutout triangles, 7mm inside diameter. Sold individually. 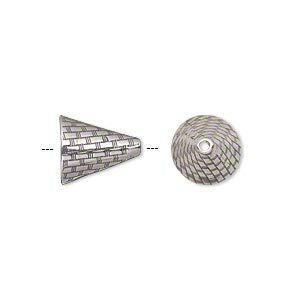 Cone, JBB Findings, antiqued sterling silver, 12x10.5mm woven texture, fits 10-14mm beads. Sold individually. 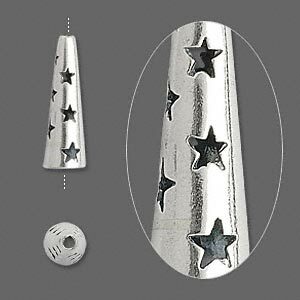 Cone, JBB Findings, antiqued sterling silver, 20x6mm with cutout stars, 4.5mm inside diameter. Sold individually. 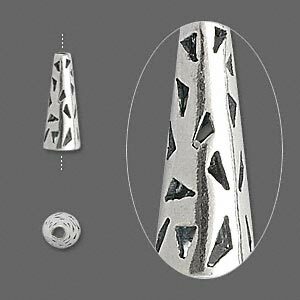 Cone, JBB Findings, antiqued sterling silver, 14x5mm with cutout triangles, 3.5mm inside diameter. Sold per pkg of 2. 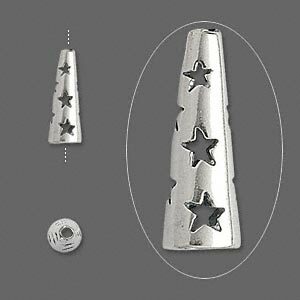 Cone, JBB Findings, antiqued sterling silver, 13.5x5mm with cutout stars, 3.5mm inside diameter. Sold per pkg of 2. 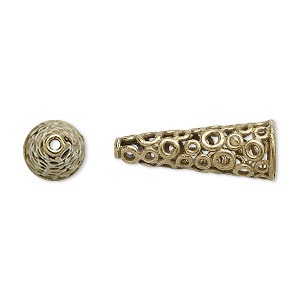 Cone, JBB Findings, antique "vermeil," 24x9mm with circles. Sold individually. 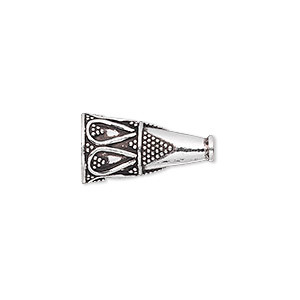 Cone, antiqued sterling silver, 19x10mm-22x10mm with crescent pattern, 8.5mm inside diameter. Sold individually. 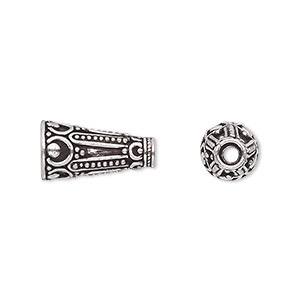 Cone, antiqued sterling silver, 19x10.5mm beaded with Bali accents, 8mm inside diameter. Sold individually. 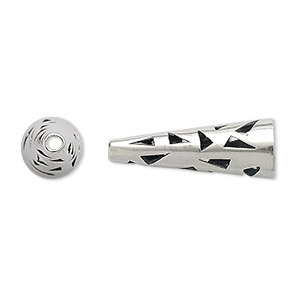 Cone, sterling silver, 16.5x9mm beaded with Bali accents, 6mm inside diameter. Sold individually. Cone, antiqued sterling silver, 9x5mm beaded with 3mm inside diameter. Sold per pkg of 12.